Take a Wildly Affordable Trip to the Birthplace of Independence! Do you want to do something special that has an inexpensive price tag? Inexpensive. Has a nice ring to it doesn’t it? Why not take a trip to the birthplace of America’s independence? Set your sights on historic Philadelphia, Pennsylvania – a city rich in history, culture, fine architecture and remarkable landmarks! If your world travel pin lands there, you are sure to find lots of low cost, exciting things to do in the “City of Brotherly Love”! When you visit the historic city of Philadelphia, stay at a hotel in the midst of fun celebrations, interesting attractions, prominent landmarks and popular restaurants. You don’t have to sacrifice luxury and style. Elegance and affordability are not mutually exclusive. Favorite search engines like TripAdvisor and Expedia can assist you. There are several chic hotels located in this area. The Le Méridien is an excellent choice. This contemporary hotel is stunningly beautiful! The modern décor blends seamlessly and elegantly with historical architecture. Every aspect of the Le Méridien, with its black and white theme, is magnificent. For special offers, see: https://www.starwoodhotels.com/lemeridien/property/offers/index.html?propertyID=3238. Now that you’ve found the perfect hotel that is central to all of the surrounding attractions, it’s time to go sightseeing. Touring historic Philadelphia will be all that you imagined it to be and much more. Walk the actual halls and grounds that the founding fathers walked. Allow the history books to come alive as you trek from place to place. Seeing The Liberty Bell for the first time is an awe-inspiring experience. For FREE things to do, check out this link: http://www.visitphilly.com/articles/philadelphia/top-ten-free-philadelphia-attractions/. Once you’ve reserved your hotel, you want to make your awesome tour arrangements. Buying the Philadelphia Pass is a great idea. Saving up to 70 % off, you will get amazing discounts. One pass gives you entrée to 40 attractions and includes transportation as well! You can ride the Big Bus or the trolley for a great view of area landmarks. 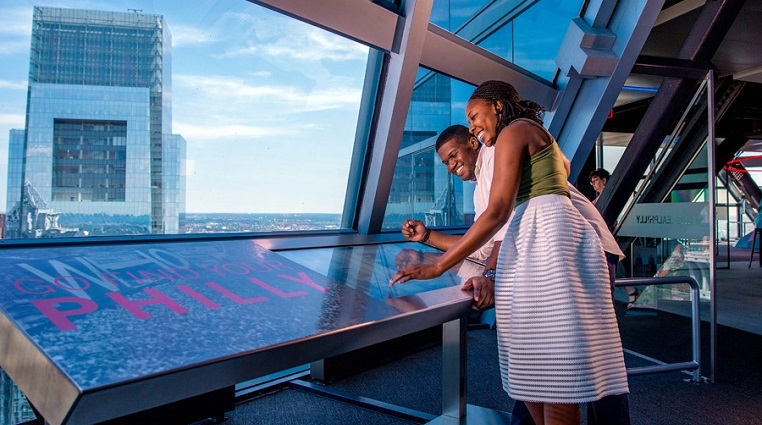 Some of the 40 attractions encompass National Constitution enter, Philadelphia Zoo, Betsy Ross House, Chew Philly Food Tours, Penn Museum, Adventure Aquarium, African American Museum, Franklin Institute Science Museum and much more. This pass includes 18 special discounts on additional tours, restaurants and Philadelphia Premium Outlets. For info, call 888.567.PASS. You can go online to www.philadelphiapass.com to purchase your pass or get it at five locations in the area. If you like to save money, it’s a great idea to purchase The Entertainment Book annually. You get two-for-one discounts and up to 50% off restaurants, attractions and many services in more than 10,000 cities in the United States and Canada. If you prefer the traditional way of tearing off coupons, order the print edition. If you’re mobile savvy, buy the digital membership. Download the app and take a FREE tour of offers before you buy. Whether you’re traveling to cities like Philadelphia or looking for discounts at home, The Entertain Book can meet your needs. Click on this link: https://www.entertainment.com/. Philly by Segway Tours is One of the Best! “You know you wanna ride one….” That’s the theme on their card. Let’s change that. “You know you gotta ride one!” It is such an exhilarating, awesome feeling to ride a Segway for the first time. The “2-Hour Philly Cheesesteak Tour” is especially cool. Glide on the roads as you make your way through Old City, Chinatown, Center City, Italian Market, Society Hill and Market Street. The best part of this tour is that there will be FREE cheesesteak samples! The cheesesteaks are mouthwatering and embarrassingly lip-smacking. You can say that you finally made it to Philly to taste a “real” cheesesteak! Here’s a great tip for you. Try your sandwich with Cheese Whiz. Check out the Philly by Segway Tour website at www.phillytourhub.com. There are a number of great restaurants to visit in Philadelphia. The famous cheesesteaks are particularly flavorsome and appetizing. You can’t go to Philly and eat just one! The wonderful thing is, you will be able to go visit various eateries throughout your stay. Some of the Philly favorites include Pat’s King of Steaks, Geno’s, John’s Roast Pork, Tony Luke’s, Jim’s, Campo’s and Sonny’s. Use this link to get the skinny on Philly favs: http://www.visitphilly.com/articles/philadelphia/top-10-spots-for-authentic-philly-cheesesteaks/. The legendary Reading Terminal Market opened in 1892 and features bakeries, beverages, dairy, housewares, fresh meat, seafood, produce, restaurants, specialty foods and Pennsylvania Dutch merchandise. If you have a sweet tooth, savor the taste of desserts from Mueller Chocolate Co, Sweet as Fudge Candy Shoppe, and Termini Brothers Bakery. Have a delicious lunch at Keven Parker’s Soul Food Café. The fried chicken is really kickin’! Click on this link for more info: http://www.readingterminalmarket.org/. Ever wanted to see the setting or scenes of some of your favorite movies? You can do that in Philadelphia! Some of the most notable movies were filmed there. They include Rocky, Trading Places, The Sixth Sense, Law Abiding Citizen, National Treasure, In Her Shoes and 20 more! Go to www.moviesitetour.com for additional info. Unearthing so much of America’s history is so very exciting and exhilarating! If you’ve visited before or live there, you should rediscover it for the first time! If you have never been, experience this great culture firsthand! The best thing to do is search the city’s official tourism, visitors or travel sites. For Philadelphia, it is Visit Philadelphia at www.visitphilly.com and PHL CVB at www.discoverphl.com. They will tell you about all things “Philly”! Leslie and her hubby Tony took a road trip to Philadelphia and experienced this beautiful city for the first time. A variation of this article originally appeared in the Leslie’s Lane Blog. Leslie E. Royal is an international freelance writer, product review expert, social media influencer and global travel journalist. 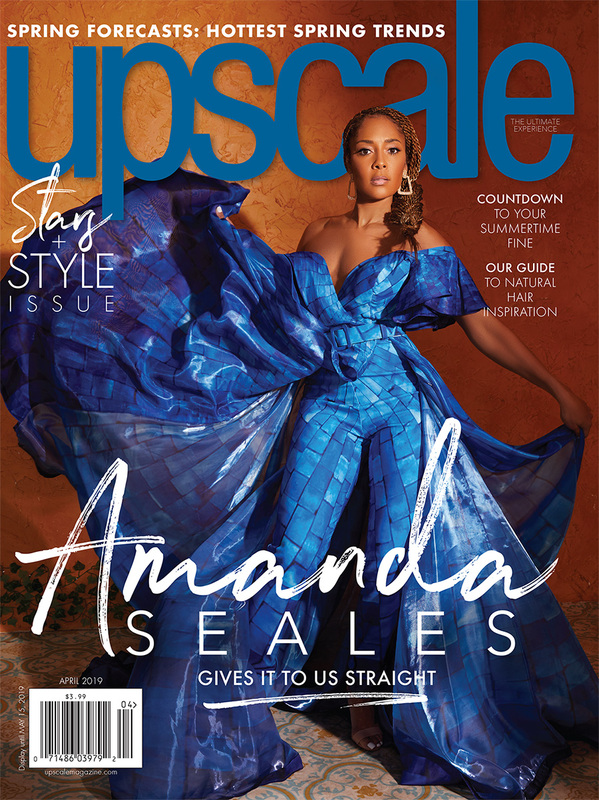 Her articles have appeared in numerous publications including: Upscale, Upscalemagazine.com, ESSENCE, ESSENCE.com, Black Enterprise, BlackEnterprise.com, FORTUNE.com and The Wall Street Journal. 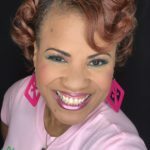 She is the creator of the Leslie’s Lane consumer information blog and author of two books: How to Write and Self-Publish Your Book for FREE with Amazon’s CreateSpace (Amazon $9.95) and Leslie’s Lane The Book! Your One Stop Internet Resource Guide to Links for Jobs, Inspiration, Discounts, FREE Stuff, Scholarships, Travel and More! (Amazon $14.95). Follow her on social media at @LesliesLane.